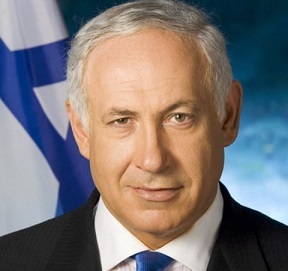 Israeli Prime Minister, Benjamin Netanyahu, sent a letter to U.S. Secretary of State, John Kerry, claiming that the Palestinian Authority (P.A.) and its President, Mahmoud Abbas, are inciting against Israel, even after the resumption of direct peace talks.In his letter, Netanyahu told Kerry that the Palestinian Authority is “encouraging the Palestinians to hate Israel instead of encouraging coexistence”. The letter claimed that, on July 29, President Mahmoud Abbas stated that the anticipated independent Palestinian State “will not have a single Israeli, whether a civilian or a soldier”. Furthermore, Reuters reported that the letter indicated that a sports anchor of the official Palestinian TV, stated during a broadcast of the visit of the Barcelona Football Club to the occupied West Bank last week, that all Israeli settlements in the West Bank, described by Israel as towns and cities, are Palestinian. Commenting on the issue in his letter, Netanyahu claimed that this type of speech is “hate education that encourages violence and terror”. Reuters added that Dr. Hanan Ashrawi, an official of the Palestinian Liberation Organization (PLO), said that the letter of Netanyahu is just an attempt to divert the international attention from the ongoing and serious Israeli violations of International Law. Netanyahu’s letter comes amidst ongoing Israeli violations against the Palestinians in the occupied Palestinian territories, and amidst a new Israeli decision to build 1096 illegal units for Jewish settlers in the occupied West Bank, and in occupied East Jerusalem. Israel is ongoing with its illegal settlement construction and expansion activities in the occupied territories, in direct violation of International Law and the Fourth Geneva Convention. Settlements, and the illegal Annexation Wall, have isolated the residents from their lands, and are turning the occupied territories into isolated ghettos, preventing a continuous Palestinian State. It is worth mentioning that, late on Saturday at night, Netanyahu was moved to the Hadassah Ein Karem hospital in Jerusalem, where surgeons performed umbilical hernia procedure earlier on Sunday morning. The Jerusalem Post has reported that Netanyahu was scheduled to meet with his cabinet ministers on Sunday to finalize the release of Palestinian detainees as part of the efforts to resume direct peace talks with the Palestinians. His office said that the Israeli cabinet’s ordinary session will be postponed, but the Ministerial Committee in charge of releasing the detainees will still convene Sunday, chaired by Defense Minister, Moshe Ya’alon. The Jerusalem Post added that the second round of direct talks with the Palestinian Authority, scheduled for Wednesday, will be held as planned.